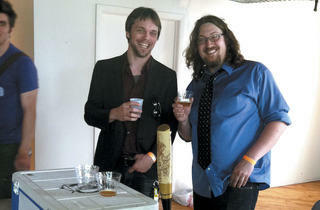 How one chef wrangles hordes of homebrewers into a single event. Meet Won Kim. He’s a Chicago native, an old-school graffiti writer, one-time DJ, Columbia College radio program grad, Whole Foods sign maker, private chef and culinary instructor with a certificate from Le Cordon Bleu and, currently, the most vocal champion of those Chicago homebrewers who toil away in obscurity. Kim’s path to becoming a homebrew advocate started a few years ago, when he and his beer-nerd friends caught the DIY bug. The crew started showing up to parties with their own beers in tow, swapping tips, bartering for equipment, spitting out the wretched and guzzling the great. Freight broker by day, brewer by weekend, Adrian Vidaurre leads a team of five who concoct Mexican-inspired “beer with Latin heart” in his Logan Square basement. They’ll be pouring an ancho chili porter, a hibiscus amber ale and a pale ale brewed with Mexican rice. 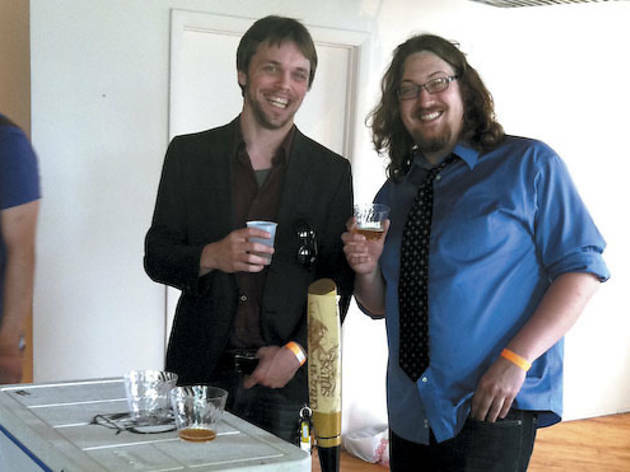 Long Grove natives and high-school buddies Jason Klein and Brad Shaffer are weeks away from signing the lease on a commercial brewing space to turn their hobby into a business. Their debut draft, Instigator IPA, will be poured at the event alongside an Irish red ale and a mild stout. Software developer Josh Garrett is a one-man operation, using the kitchen, spare bedroom and back porch of his Bucktown apartment to brew ten-gallon batches for weddings and parties, with hopes of going pro someday. His fan favorite, a pumpkin ale, will star at the event, poured alongside his milk stout, brown ale and pale ale. Certified cicerones (and Whole Foods Lincoln Park bartenders) Martin Langrall and Chris Olmstead have their sights set on opening a microbrewery someday, and they have the catchy beer names to prove it: They’ll be pouring Citizen Snips Pale Ale, Spectral Tiger Belgian IPA, Dirty Girl Double IPA, Weirwood Black Ale and 6Pool American Lager. As the event’s food provider, Kim will serve a pulled-pork sandwich with homemade cheese, smoked apple compote and pickled red onion.